It may seem bizarre now that a private station train station should exist but prior to the development of road and air transport the railway was the most effective means of travelling long distance. Investors in passenger stations sought to place them where they would have the best return, but at the time it was entirely possible for a private individual to build their own station and feed it onto one of the main lines. Broomielaw was a private halt built for the Bowes-Lyon family in 1856 who lived in nearby Streatham Castle. 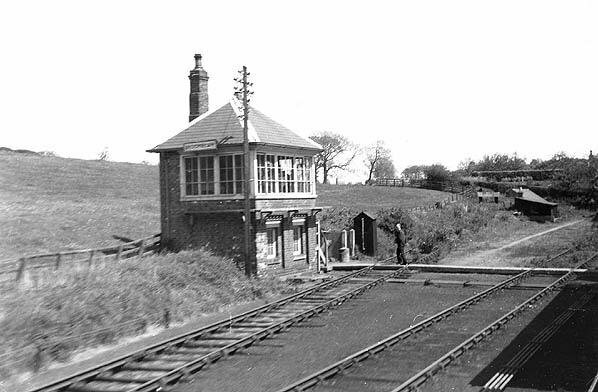 It was opened up to the public in 1942 and had a small amount of freight traffic which was controlled by the signal box still extant today. Beeching’s Axe closed the entire line down in 1965 and the station has been derelict ever since.